MC Laubscher aka Cash Flow Ninja: Why You Should Build An Online Business - Wall St. for Main St.Wall St. for Main St.
M.C. Laubscher is a wealth strategist, educator, and financial freedom fighter. He is the founder and president of Valhalla Wealth Financial and host of the popular business and investing podcast, Cashflow Ninja. The Cash Flow Ninja podcast averages 35k downloads per month on iTunes and has 100 5 star reviews. MC’s podcast has been chosen as one of the top new business podcasts on iTunes. During this interview, Jason starts off by asking MC about his background from South Africa and how he came to the US? 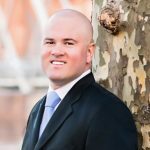 MC talks about his journey and why he started the Cash Flow Ninja podcast and why he is invests and sells infinite banking policies. If you wanted to know about the whole life dividend paying insurance policies and how they are great and versatile savings vehicles, MC goes in depth about it. Jason and MC discuss overcoming obstacles and impediments to move forward and why if you are an American you have a unique opportunity to build an online business now.